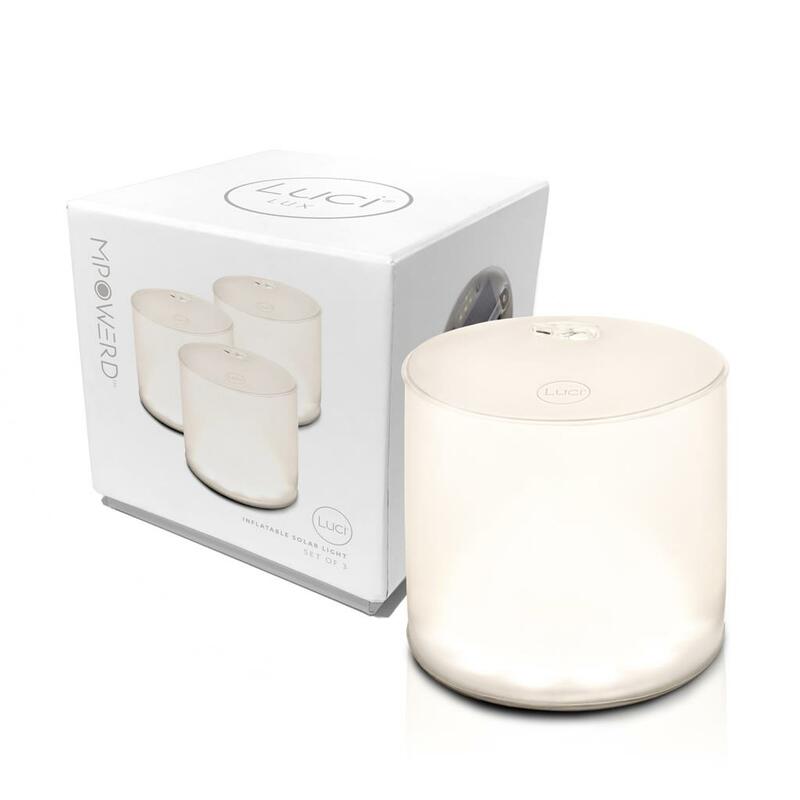 Luci Lux Trio packages our most elegant light into a 3 in 1 gift set. The Luci Lux merges the utility of a portable light with the aesthetic of modern home decor. With a soft frosted finish, Luci Lux is the ultimate ambient light – perfect for those summer dinner parties or a relaxing bath. Just like candlelight, turn any moment into a magical experience by the warm, bright glow of Luci Lux.